I’ve been on the hunt to see what I can find. Below are the 10 most interesting handbags for under £500. An ideal ‘starter for 10’ to inspire you, especially if you need a bit of a lead time for dropping hints, for those gift in a couple of months! Need a new bag to rock a day time look? This little bag not only has that 1970’s patchwork vibe but a few other key winter trends; bright red, florals and metallic finish. This bag punches way above its weight. Find it at Farfetch from Junya Watanabe Comme des Garcons for £495. Red is proving the colour of winter 2017; ideally worn head to toe. However, all year round, red is an ideal accent colour for most outfits. Aspinals of London’s Lottie red leather bag can be found for £425. Growing more and more popular is the round shaped bag to carry via a top handle or crossbody with the longer strap. PB110 can be found at Selfridges in black for £440 or in neutral nubuck for £480. PB110 is renowned for its quality of leather. It’s a keepers! There is a lot to love about this bag; the black and silver leather, metallic finish with a soft blue tweed cover. Blue and metallics are two of the key winter trends. 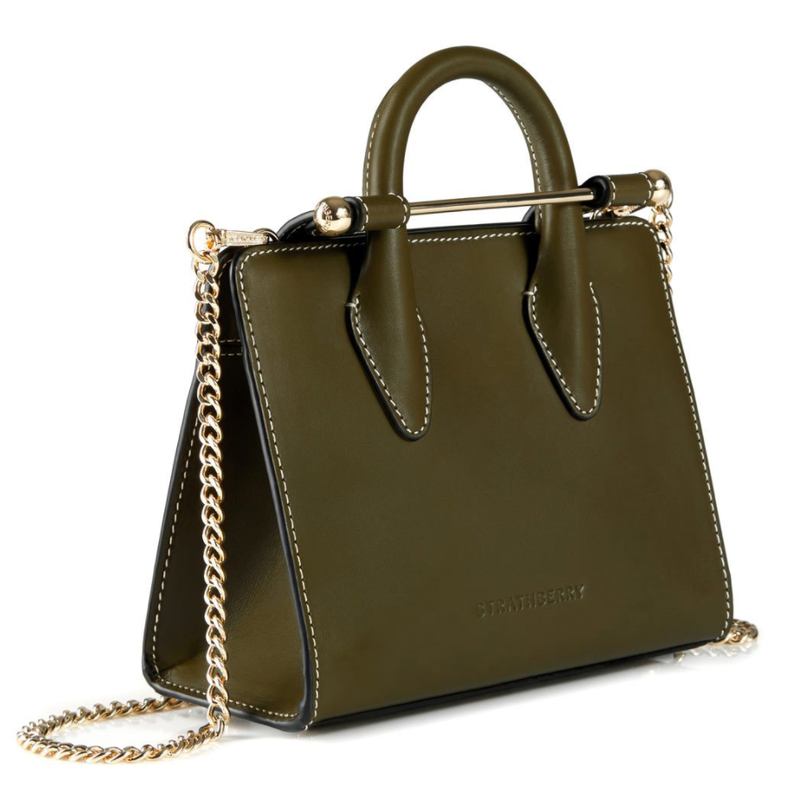 This bag from Karl Lagerfeld can be found online at Forzieri for £399. Metallics, specifically silver, are very ‘on trend’ for a night out. If you can’t handle a silver outfit, get your fix with a silver handbag. This timeless option is from Jimmy Choo at Selfridges for £475. Accent a single colour outfit with this eye catching evening bag, worn winter or summer. 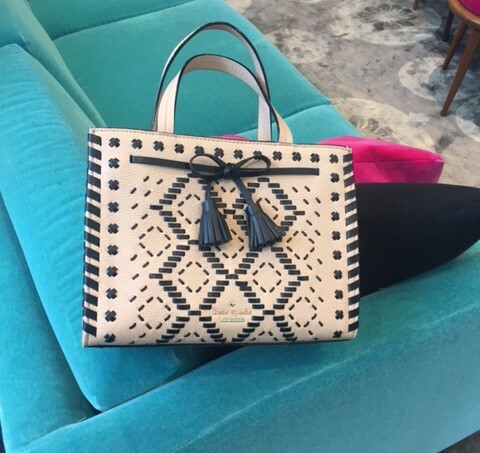 From Florence, Emilio Pucci’s patterned shoulder bag is at Farfetch for £450. This is the bag to pair with this winter’s trend of white boots. Go brave and go bold! Make an evening outfit pop with this pink pouch. This little bag is big in impact. From Dolce & Gabbana online at Farfetch for £395. Less is definitely more! For those who love a quality bag for transporting the laptop as well as the day’s essentials, the large leather ‘Blogger’ tote bag from Furla I’m assured is indestructible. At House of Fraser for £430. For those who have enough black in their wardrobe, but want to refresh their daytime shoulder bag for winter, try a metallic grey. Coach’s Edie 31 comes in metallic graphite and is found at John Lewis for £350. Finally let’s end on a great shape and detailed tote bag. 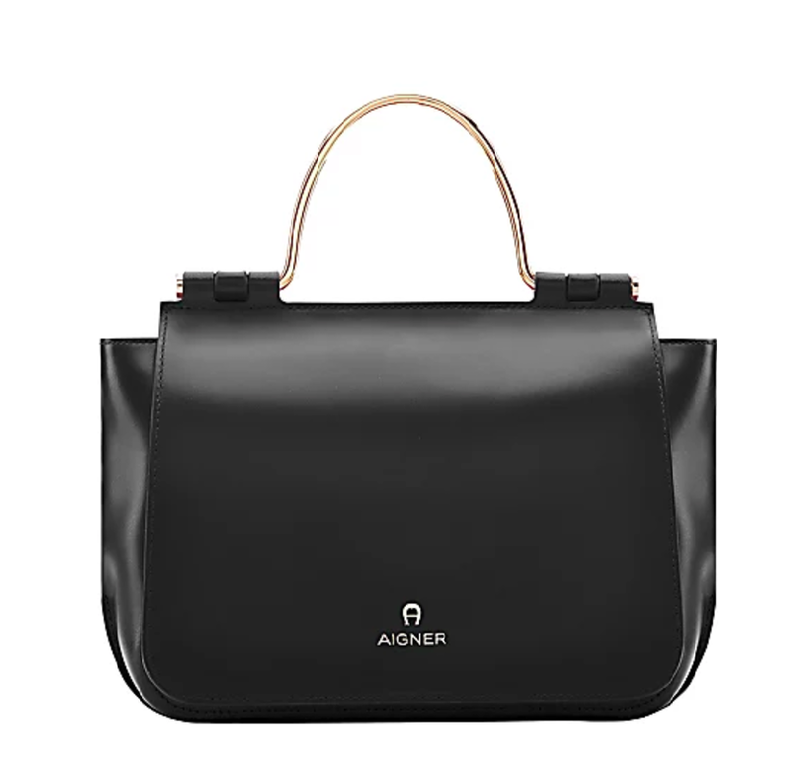 At first glance you might think this is a classic black leather tote bag. Oh no! The inside has an eye catching black and white striped lining but before getting inside, pass a pair of bright red lips! Pucker up and lift your day with this large peekaboo tote bag from Lulu Guinness at House of Fraser, for £395. There you have it, 10 designer handbags from small evening bags to day time crossbody and tote bags, all under £500. Check out bags under £100 that rock this winter’s trends and designer bags under £300 for more inspiration. If you want to brush up on the key trends for winter, there are 8 of them. Thanks to Janko Ferlič on Unsplash for header image.